We will have our Annual Wreath Making Party on Sunday, December 2 after a potluck following worship. Materials will be provided, but live greens of any kind are welcomed! On Saturday, December 15 we will gather for a Christmas Worship and Turkey Dinner. We have found that often the preparation is as rich as the actual event. So, come at 4:00 to help prepare the meal and set up. Worship, a sharing of poems, songs or personal stories, will be at 5:30 with dinner to follow. 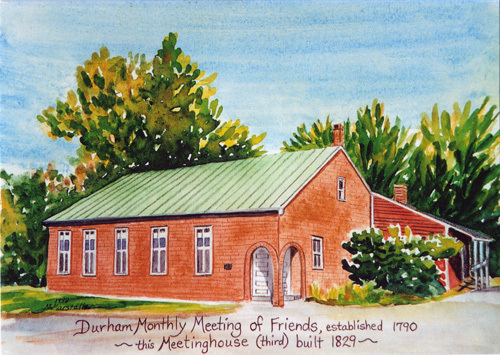 As part of Durham Meeting’s efforts at outreach, we encourage all Durham Friends to invite neighbors and friends to our special family events as well as our regular weekly Meetings.